The planning committee behind the Veterans Commemorative Monument will begin presentations this week on the waterfront monument which will recognize the men and women who have volunteered and served with the Canadian Armed Forces. A display will be set up in the Station Mall on Thursday, February 12 from 10 a.m. – 6 p.m. near Hallmark. The display will continue on Friday and Saturday at the same times. The planning committee will be hosting a series of presentations throughout the duration of March to get the community familiar with the project and to identify veterans in the Algoma district. Anyone wishing to request a presentation at their venue should contact Clyde Healey, Planning Committee Chair at 705-946-2464 or email clyde.healey@shaw.ca. If you or someone you know is a veteran who wishes to be recognized, please contact Healey. Profiles will be written on veterans detailing their courage, bravery, and service in the Canadian Armed Forces. For more information on the project or to donate, please visit thosewhoserved.ca or visit the Veterans Commemorative Monument Facebook page. You can also follow the project on Twitter @CAFMonument. 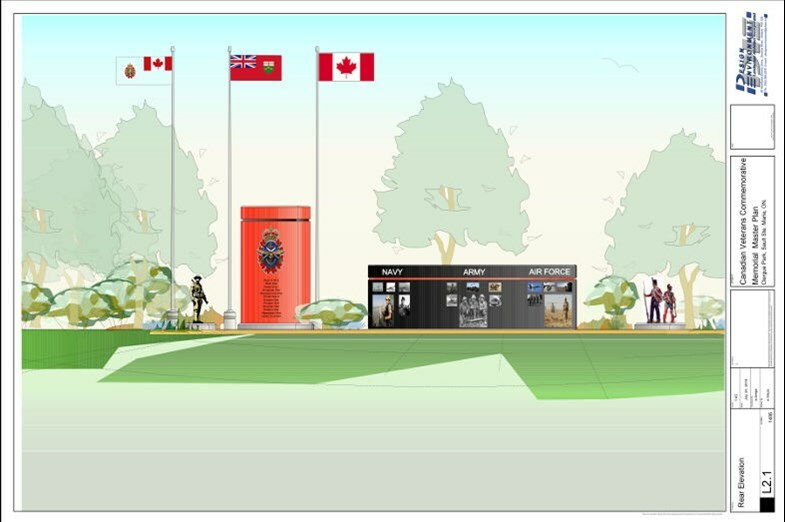 The Veterans Commemorative Monument project is designed to recognize all men and women who have volunteered to serve with the Canadian Armed Forces. The Veterans Commemorative Monument will provide a formal and lasting tribute to the citizens of Sault Ste. Marie and the surrounding area on the waterfront of Sault Ste. Marie. It is only proper and fitting that a tribute to their dedication and sacrifice be erected. For more information, please visit thosewhoserved.ca.